Everyone loves a great BBQ on a warm summer day right? A nice cut of meat, a cold brew and a ….. shopping cart?? 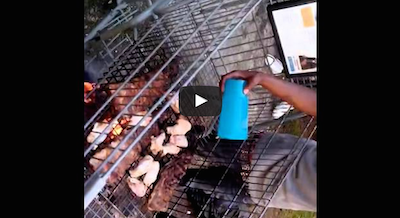 Yes, that’s right – what do you do when you have no BBQ? Ask these guys. This is how you tell you’re in the hood.